Your Mountain Escape Awaits! Rare opportunity to own your perfect little getaway priced well below the market. Great sweat equity mountain home. 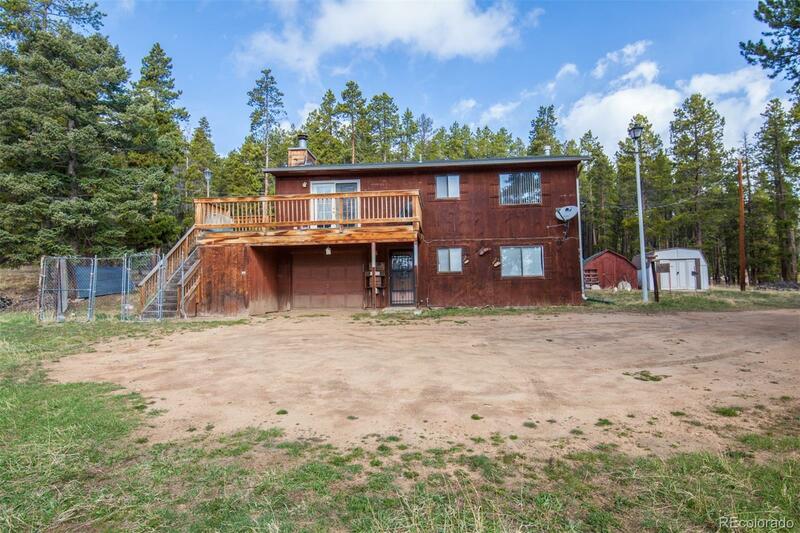 This home is situated on just shy of 3 acres, between a mix of aspens and pines with only a few minutes drive to access Highway 285 and 20 min to meet up with the 470. All the benefits of the city close while maintaining the quiet escape of the mountains. Enjoy the nice quiet deck on the upper level, or the picnic area adjacent to the home. 2 sheds as well as an attached garage.